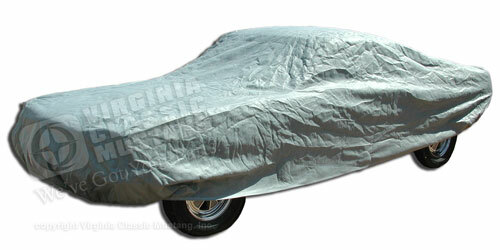 A 3 layer Custom Car Cover material suited for light weather conditions (perfect for occasional use or vehicles stored under a carport). Triguard (TM) is fairly soft and very compact. Do not use Triguard(TM) in harsh weather or sun. Triguard(TM) is also not suited in areas with industrial fall out (acid rain). Good protection at an affordable price.